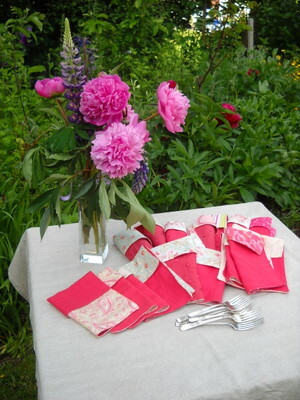 I made these napkins with some linen that is new, but also with some that is more than 40 years old! 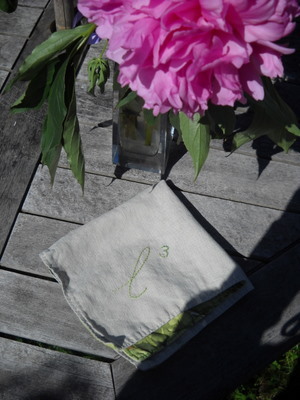 The linen in the picture below is from a table runner that had a hole in one end, so I cut off the end and this is a small piece from that, it was lovely to work with. 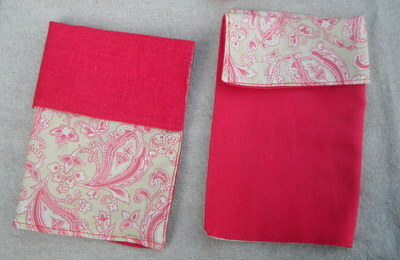 The other side is made with a beautiful Liberty cotton that is re-used from a shirt my mom made about 30 years ago. She wore it out and gave it to me if I could use some part of it. It is SO soft. Here are the rest of the ones I made. The peonies are so lovely. They are a gift from a friend’s garden, and they smell so sweet. 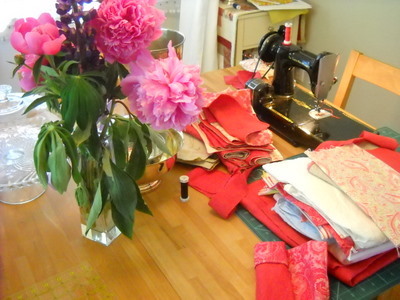 I really enjoyed their company yesterday when I was sewing. As I was trying to decide how to fold these – should I roll them or fold them? 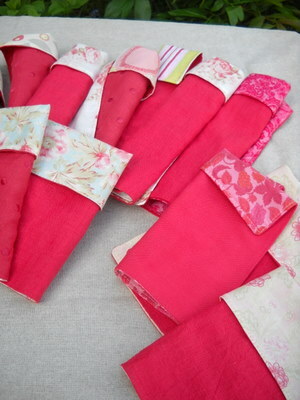 I like how these ones look different even if they are made with the same fabric. 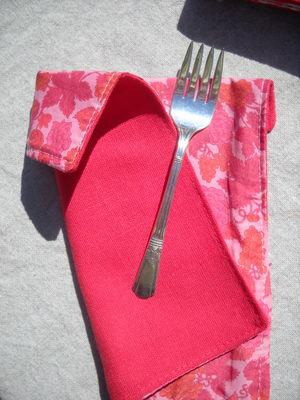 I also like the idea that the napkins are all different so guests will know which ones are theirs. 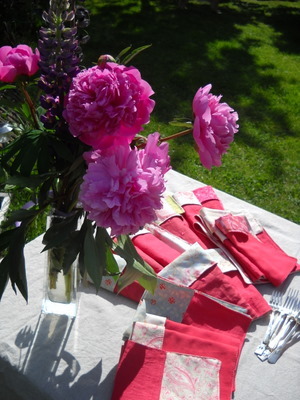 Fabric napkins are something that we use at partygreen celebrations as another way of celebrating sustainably. 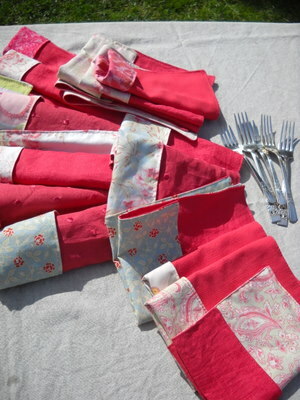 It was so much fun to work with these colours– I just LOVE the raspberry / watermelon colour of both the vintage and the new fabric.